Award winning premium e-liquid flavours, lovingly created right here in the UK – are grouped into three ranges. 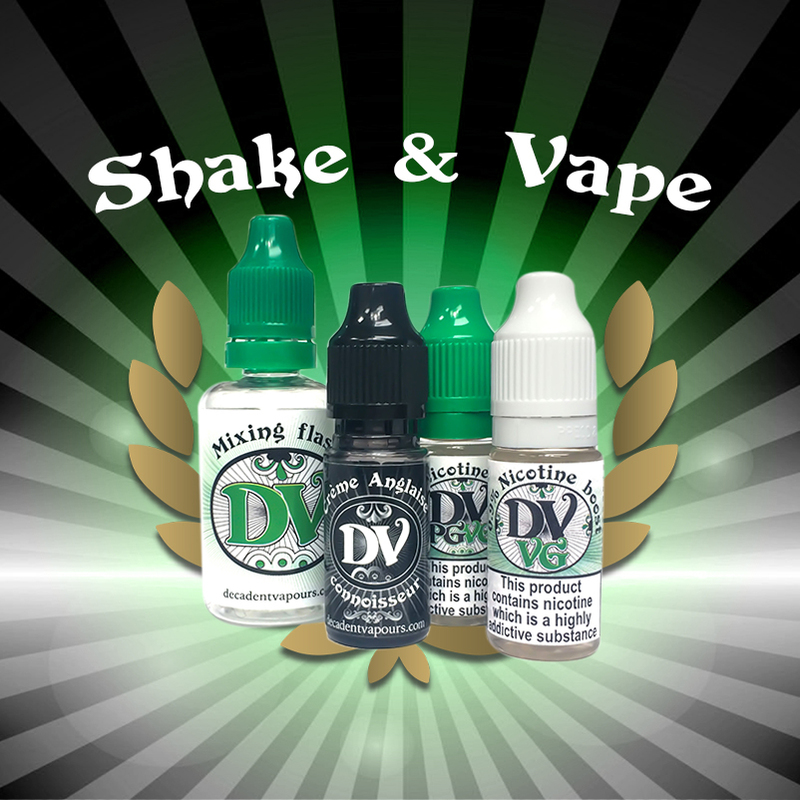 The Decadence Collection is our range of 50VG/50PG flavours. Djinni are available in a 60VG/40PG mix, and are a slightly more complex blend of flavours. Our World of Fantastical Flavours are our shortfill e-liquids which are uniquely available in a selection of strengths and base types to suit your personal taste. Finally, but by no means least, we have our incredibly flexible Shake & Vape range, which offers 1,000s of combinations of flavour, base and strength to allow you to hone your very own 30ml of perfect e-liquid. Made using the very finest ingredients, each e-liquid in our range goes through months and sometimes years of painstaking refinement and testing before release, ensuring our legendary premium quality with every flavour. Our range covers all tastes, from sweet desserts, icy menthols and mouthwatering fruits. There’s also our famous tobacco range, made from the finest European Tobacco Absolute. You can buy online today and we deliver world-wide! Which e-liquid should I choose? As every single one of our e-liquid flavours are free of nasties, anything you like! But if you’re new to vaping, flavours that you enjoy to eat or drink are often a good start. If you’ve recently made the switch to vaping from smoking, we would recommend starting at a higher nicotine strength initially. We offer a wide variety of strengths starting at nicotine free (0%) going all the way up to 1.8%. What are the main ingredients in our premium e-liquids? All of our e-liquids contain pharma grade Propylene glycol, a common food additive which helps to create a satisfying flavour and mouth feel as well as being a good solvent for nicotine. This is combined with vegetable glycerine, also regularly used in foods and other household products. VG helps to smoothen out the flavour and increase vapour production. (Our diluents are rapeseed based and do not contain palm oil.) This carefully blended combination provides a smooth taste that is suitable for all types of devices. 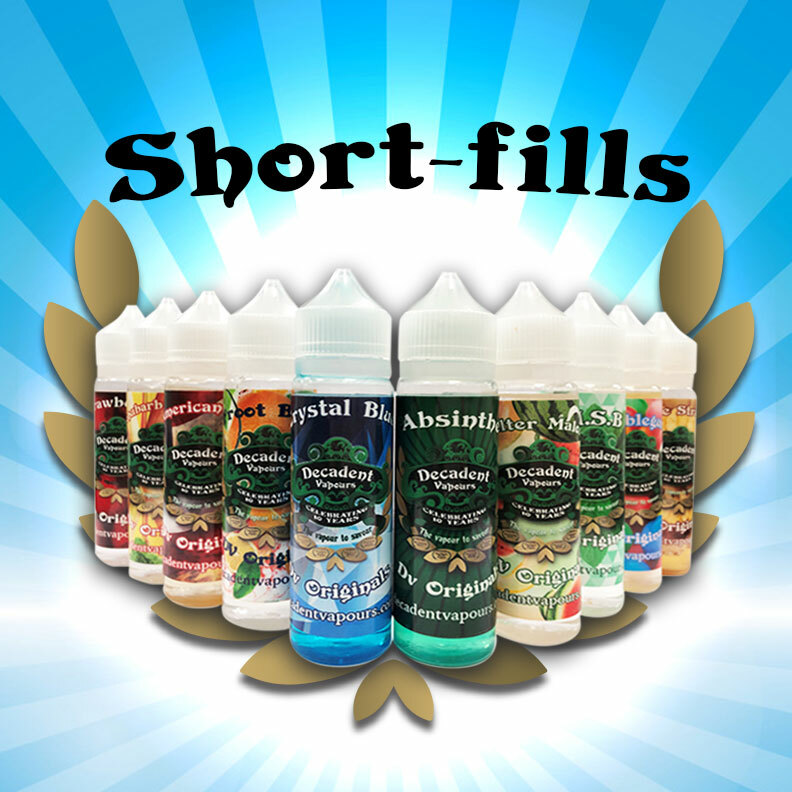 Our e-liquids are also alcohol free and do not contain any animal products.